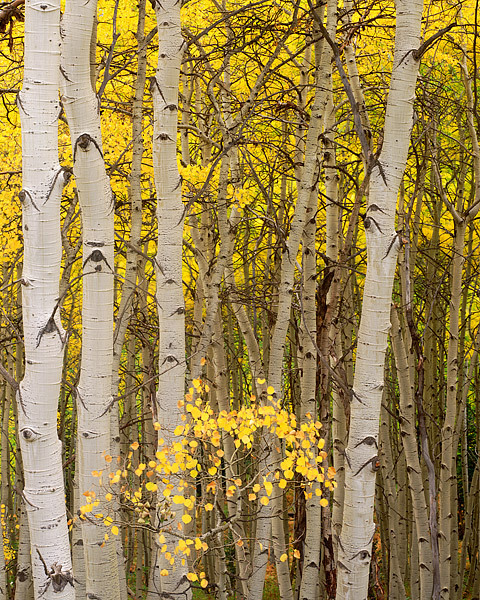 Fall Aspen trees are viewed along Kebler Pass road outside of Crested Butte, Colorado. Kebler Pass which is located a short distance from Crested Butte, offers unlimited views of some of Colorado's most pristine Aspen scenery. Photo © copyright by Thomas Mangan.